A&E Live, a groundbreaking programme is set to be broadcast live from Leeds General Infirmary on three nights this week. Former Leeds United and York City defender Clarke Carlisle is in a "stable and relatively comfortable" condition, but faces a "long road to full recovery", his family have said. The 35-year-old was seriously injured in a collision with a lorry on December 22. The incident happened on the A64, near York, and Carlisle is recovering in hospital in Leeds. "Our family and especially Clarke, would like to thank each and every person for their unbelievable support at this very difficult time. "The fantastic and expert attention of all of the staff at Leeds General Infirmary has brought him from a critical condition to a stable and relatively comfortable one. "However, this will be a long road to full recovery and the family would request that you respect our privacy at this time." It emerged earlier this week that Carlisle was facing court action over an alleged drink driving offence after being charged just days before suffering his injury. He was charged with failing to provide a sample on December 20 and is scheduled to appear in court on January 20. Could early diagnosis have saved cancer victim's life? The family of a young mother who died of cervical cancer want to know whether her life could have been saved if she had been diagnosed earlier. Keely Devine from Leeds, was 23 when she passed away. Despite complaining of symptoms during a number of trips to her GP and the A&E department of Leeds General Infirmary, the cancer wasn't picked up for over 2 years. Kate Walby reports. A 38-year-old man from Bradford is in a serious but stable condition after he was stabbed outside a pub in Crag Road, in Shipley, and taken to Leeds General Infirmary. Three men aged 33, 38 and 39 along with a 38-year-old woman, all from Bradford, were arrested on suspicion of assault. A man from Leeds who's severely disabled is set to be awarded a multi million pound payout. Lawyers for 22-year-old Ben Cropper successfully argued that staff at Leeds General Infirmary failed to respond properly after he was born prematurely, leaving him with permanent brain damage. Blood-testing staff at three West Yorkshire hospitals will strike for 48 hours this week over patient safety. 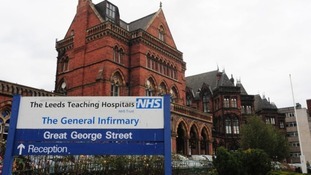 Hospital pathologists, who test blood samples and monitor blood transfusions, will stage a walk-out at St James’ Hospital in Leeds, and Leeds and Bradford Infirmaries on Thursday and Friday. It comes after a strike on July 16 over proposed changes to working patterns by the Leeds Teaching Hospitals NHS Trust. The country’s largest union, Unite, said the Trust's plans put staff and patient safety at risk and could mean significant pay cuts of up to £20,000 a year for workers. Talks have been held to try to settle the dispute, which affects 140 staff, but union members say no progress has yet been made. Unite regional officer Terry Cunliffe said: “We had offered to reconsider this week’s industrial action if the trust withdrew the threat to impose these shifts on our members, but...it has refused. “We have a duty to fight such proposals and to bring this issue to the attention of the public," he added. The strike will begin at 8.30am on Thursday and continue on Friday." Five people, some believed to be children, have been injured and taken to hospital after an inflatable slide was blown away in Ripley in North Yorkshire. A North Yorkshire Police spokesman said: "Officers have seized the slide and investigations are continuing at the scene. "The Health and Safety Executive have been informed and are also attending the scene of the incident." Karl Milner, the executive director of Leeds Teaching Hospitals NHS Trust, tweeted: "[Leeds General Infirmary] major trauma centre put on alert following pile up on M62 near Castleford". Motorists have been advised to use the M18 or M1 instead. The carriageway is not expected to reopen until 6pm tonight. Local NHS chief has written to Health Secretary Jeremy Hunt urging him to extend the deadline on children's heart surgery unit report. The Government played no part in the decision to suspend children's heart surgery at Leeds General Infirmary, peers were told today. Health minister Earl Howe said the decision was taken by the local health trust in agreement with the Care Quality Commission and NHS medical director Sir Bruce Keogh. The Government strongly believes that it was the right thing to do. It is absolutely right that the NHS should act quickly and decisively if there is any evidence that patient safety maybe at risk. But Liberal Democrat Lord Shutt of Greetland warned there had been "murky internal health politicking" going on over the issue of children's heart surgery in Yorkshire. Why is the Government determined to deny the people of Yorkshire a children's heart unit when Yorkshire has a population of 5.3 million - similar to Scotland, Denmark and Finland. Yorkshire is double the size of the north east of England, where the Government is happy to see that region locally served. Management interests "put ahead of ill children"